It really was a game of two halves tonight in the Yum Center. The Cardinals couldn’t find any answers on the offensive end of the floor during the first half and were out-rebounded by a much smaller Siena team. At times they just out-hustled the home team. Give Coach Padgett an A tonight on his half time adjustments. Don’t know what he said to the guys, but they came back out for the second half playing with more intensity on both ends of the floor. The shots started falling and the Cardinals started taking the ball to the basket with some authority. They started using their size and athleticism to overpower the saints out-scoring them 47-24. 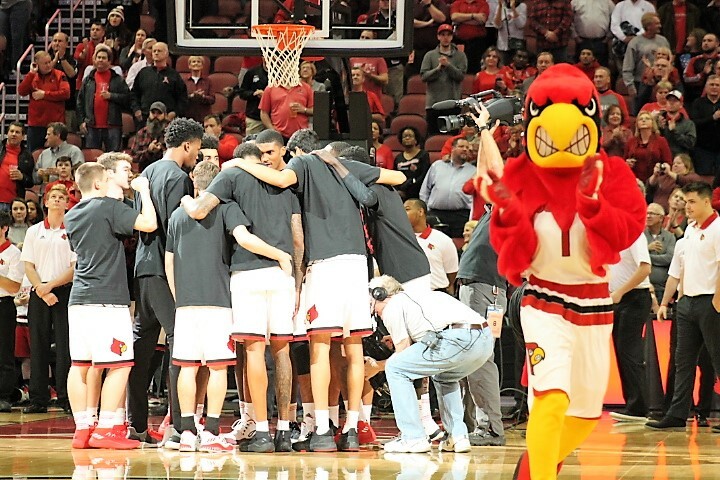 This Louisville team is a long way from reaching their true potential. They are going to lose games and have horrible halves of basketball like they did tonight. It’s the process. I believe in Coach Padgett and I believe in these players. I’m going to support them win or lose. It’s time to FAN UP. Ray and Anas played in another gear tonight. Ray had a great stat line with 10 points, 10 rebounds, 2 assists, 4 blocks and 4 steals. That’s hustle. Anas was one block from a triple-double. He had 17 points, 13 rebounds, and 9 blocks. Going to need this kind of effort out of these guys every night. Especially in ACC play. At this point in the early season the player that has me the most excited is Jordan Nwora. This kid is going to be a beast. You really must see him in person to appreciate his size. With that size and agility, he is a real weapon. He provided a spark tonight with 11 points. It was hard to watch at times, but it was nice to see the Cardinals get back in the win column. Hopefully they will carry some of that momentum from the second half tonight into the game on Saturday against Hoosiers.